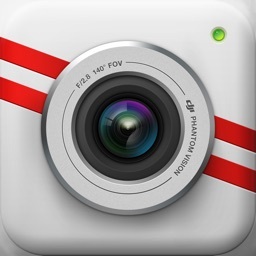 FPV Booster for Vision+ by Solomon Mobile Technology Ltd.
by Solomon Mobile Technology Ltd.
FPV Booster V3 includes FPV Camera and Flight Tracker (In-App purchase required), which is developed by the official DJI SDK. 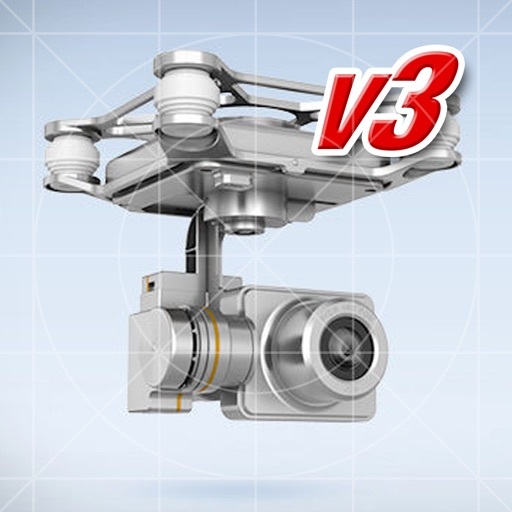 It's compatible for Phantom 2 Vision+ (Plus) V2 and V3. Please read the instructions CAREFULLY of each module in "Help" section to learn how they work. 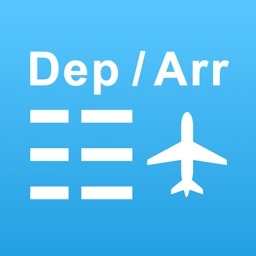 Both the app and support are in English only. • When you open the app first time, you need internet connection. Otherwise, there is an error message "App Register Failed: (ErrorCode: -1)" generated from DJI SDK. When you get this error message, make sure you have internet connection, then kill the app and restart the app again. 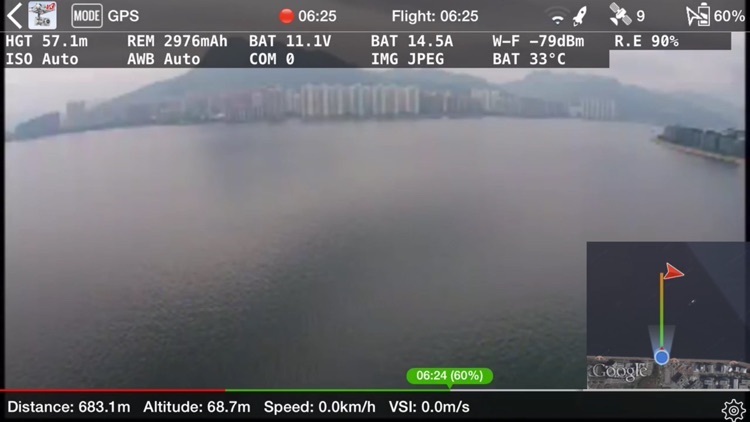 • When you switch back-and-forth between DJI VISION app and FPV Camera, you may need to kill DJI app from memory prior opening FPV Camera because of DJI app is locking up FPV connection in the background. Otherwise, you may see "Phantom Connection Broken" and "Video Signal Lost" messages. 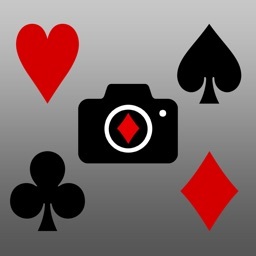 FPV Camera is an In-App purchase module (US$ 8.99 or equivalent). It brings a complete new FPV experience for flying your Phantom 2 Vision+ with innovative features. 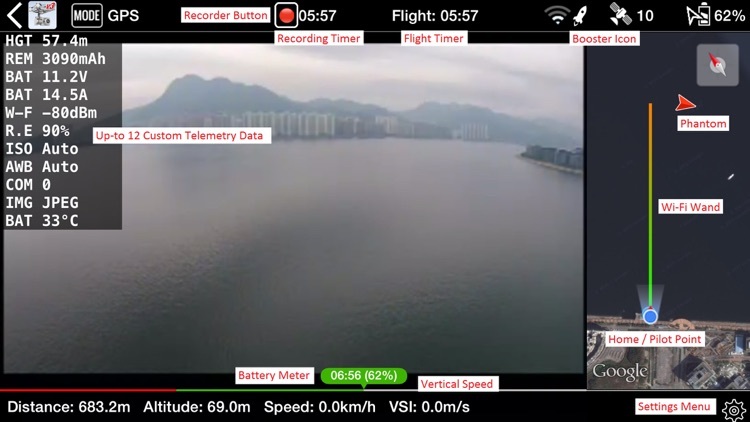 It does not intend to replace DJI VISION app, while certain features and settings of VISION app are excluded, such as Ground Station, Compass Calibration, Current RTH Altitude, Binding, Rename Ranger Extender SSID, etc. Google Map includes 3 indicators (Home, Pilot, Phantom) with auto-zoom and auto-rotate capabilities. 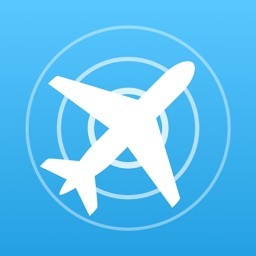 Flight Tracker is an In-App purchase module (US$ 6.99 or equivalent), which requires FPV Camera in advance. It maintains all your flight records at a glance with a complete automatic and transparent process WITHOUT any pilot intervention. It starts/stops logging flight data automatically upon start/stop motor, and records real time flight data in the app. 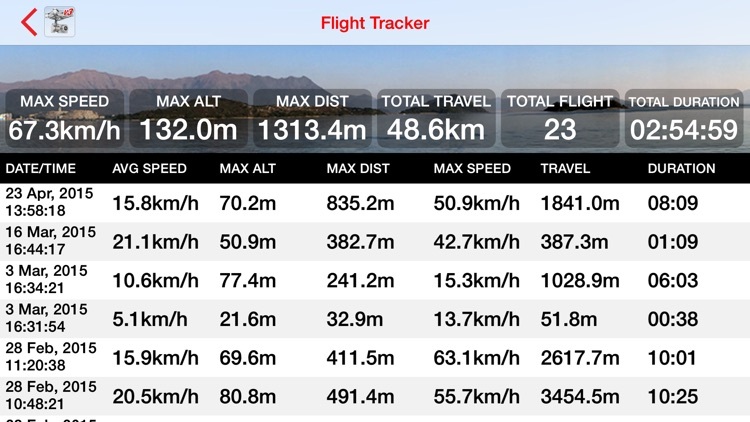 Unlike other hardware/software based flight logger, it does NOT require adding any weight (by installing device and cable) to your aircraft NOR consuming any extra battery power or Wifi bandwidth of your aircraft. 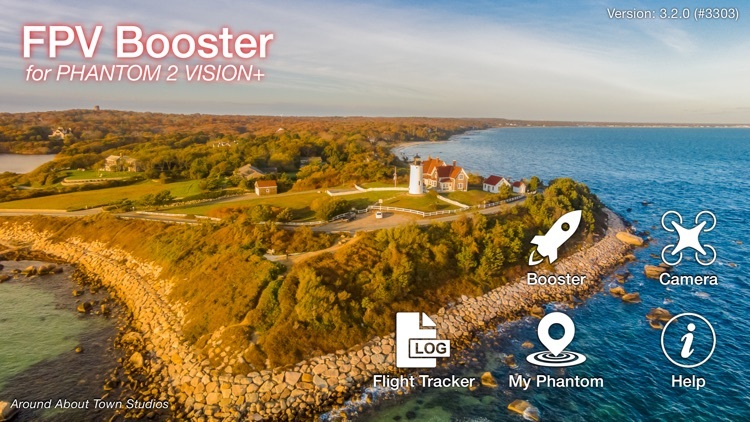 FPV Booster improves Wi-Fi video/telemetry connection (FPV, First Personal View) performance for DJI Phantom 2 Vision+ (P2V+) and the new P2V+ V3. It equips with a unique Smart Boost feature to boosts additional 50%-100% FPV range by a single click. 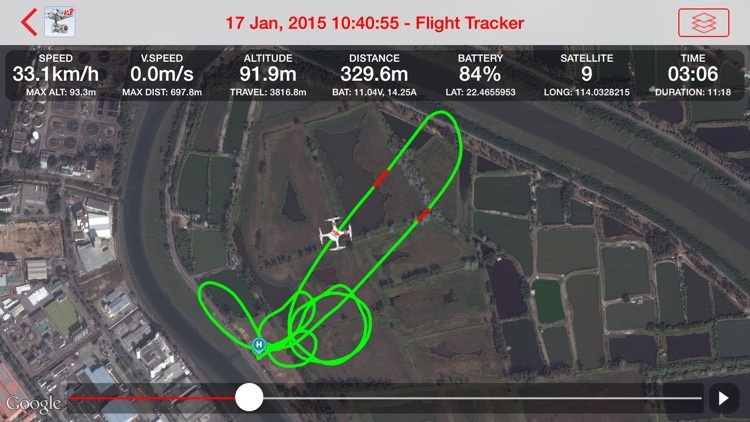 We are the inventor of boosting Vision+ aircraft FPV performance from an app. It outperforms other booster and utility apps by reducing Wi-Fi interference. • Normal Boost: It works better if you fly alone in wide open area without interference. • Smart Boost: It keeps scanning and adjusting Wi-Fi signal in real-time to optimize FPV performance during flight. If it determines good Wi-Fi signal when P2V+ flying nearby, it would not turn on the booster until it's necessary to do so. It usually performs better in urban area with some sort of Wi-Fi, cell phones and other interference. • Wi-Fi Channel: This setting allows you changing P2V+ Wi-Fi from channel-1 to channel-11 easily to minimize interference and the channel setting will be saved accordingly. • Wi-Fi WPA Password: It allows you to add/change password and deny unauthorized access to your P2V+.